Good morning! It's me Kelli hosting my very first challenge, so I hope you will bear with me if I forget anything!! Thanks so much to everyone who joined us for Brenda's fab to-do list last week, your entries were fantastic! Can you believe it's almost October already?! I'm not sure where this year has gone! 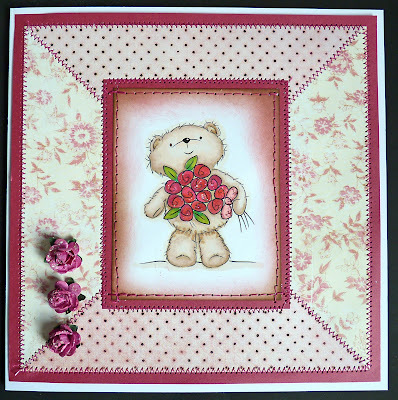 This week we are being sponsored again by Stitchy Bear Stamps Who are giving away 5 Digital Images to our lucky Winner. Well I hope you have some fun with this challenge and remember you have until 8.00 pm next Wednesday night, the 6th October to complete it and enter. We are really looking forward to seeing what you come up with. Take care and have a really good week. Hi Everyone - I am so sorry to be posting this later than usual, but I am away for a few days taking my Mum to Swanage on the south coast of England for a few days break. Well I can't believe a week has flown passed and here I am choosing the winner and top 3 for my 'To Do List' challenge. I hope you all found it fun to take part. We have all loved looking at your gorgeous creations, there is so much talent and inspiration to look at. I would also like to say thankyou to the wonderful people who left lovely comments about the challenge and the DT samples - it really makes our day to get such fabulous support from you all. Please take your banners for your blogs and congratulations to you all. Thankyou to everyone for choosing MAWTT to share your wonderful creations and we hope to see everyone again soon. 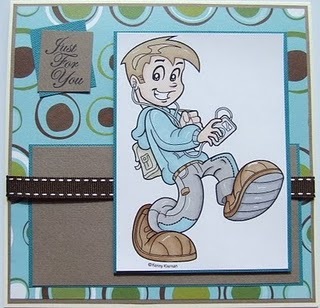 Don't forget to tune back in tomorrow when the very creative Kelli has a fabulous challenge for you. We look forward to seeing you all again. 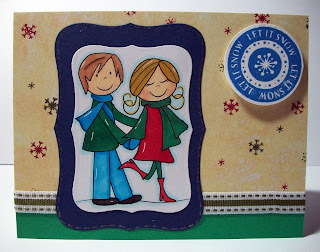 What a great week for Christmas cards last week. Thanks to everyone who joined in with us. It has certainly helped me to get going making mine. 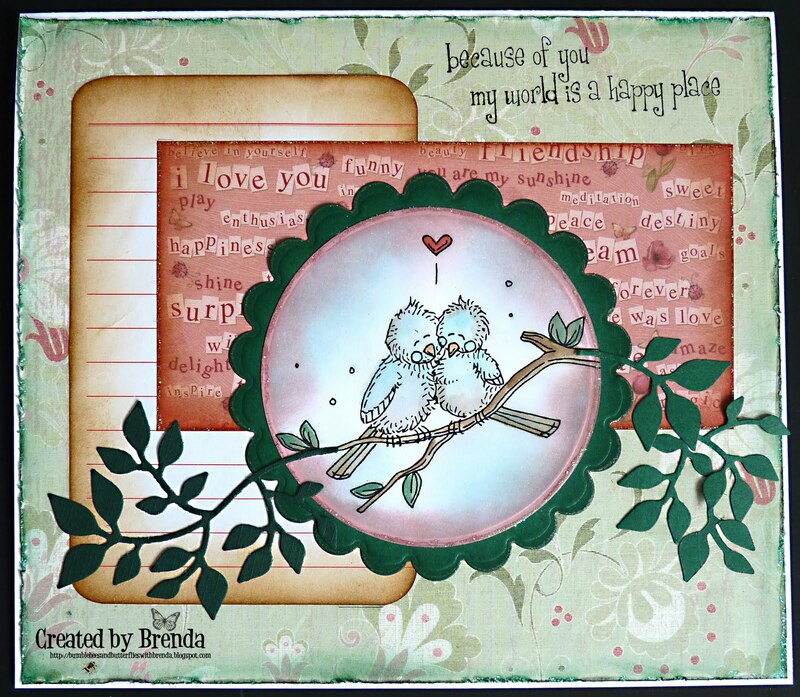 I am pleased to be back and hosting another challenge for you (it's me Brenda) for this week. I don''t know about you but I live my life with 'To Do' lists, trouble is they just seem to get longer and longer. Anyway, I thought we would have a bit of fun with a list today. Firstly though, our sponsor this week is Meljen's Designs. s has new releases along with a new challenge every Thursday, freebies every Monday and a Guest Designer each month at the Meljen's Designs Blog. Please visit the Meljen's Designs line of stamps at the WHIMSY STAMPS STORE to browse and enjoy Melissa's wonderful images! Meljens are giving the Lucky Winner 4 Digi Images of their choice. So onto our project for the next week. 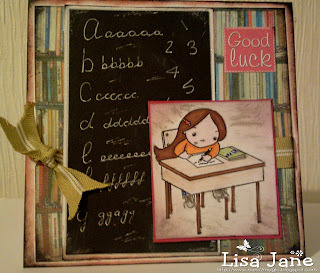 Your 'To Do' to enter this challenge is to cross at least THREE things off the list and put them on your card/project. Here is my list of 8, so there should only be 5 left when you've finished. Please list the 3 you have used when you post on your blog. Of course you can add extras to the list if you want to. Now I know some of you really like a sketch to follow as well and I have included one here but this week it is optional. Follow it if you would like to, but it is not one of the essentials. Again flip it, rotate it and add to it if it helps. Here are all the lovely creations from the Design Team. 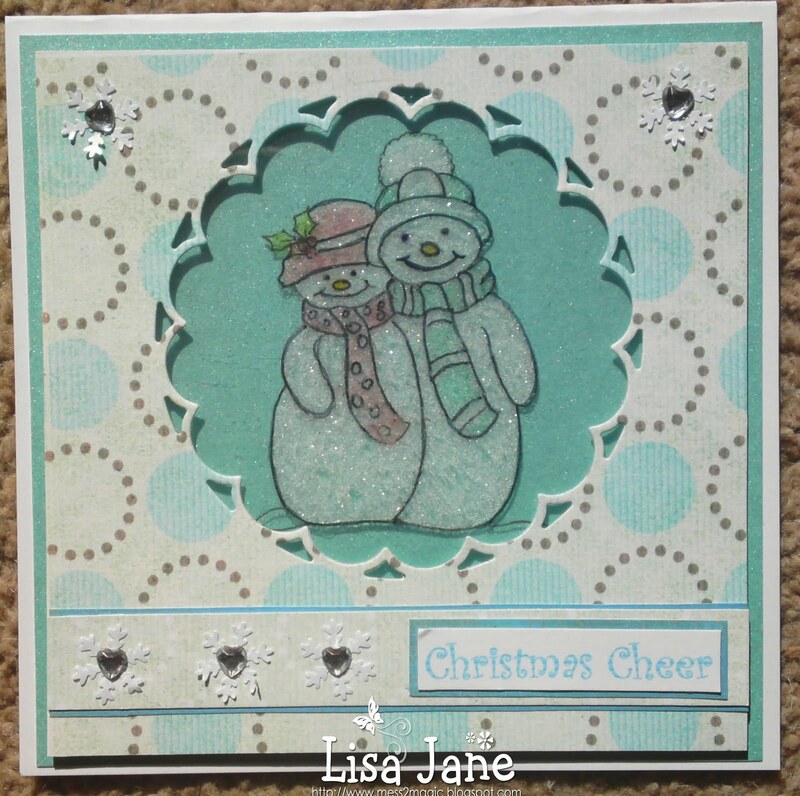 Lisa has used 2 design papers, glitter and embossing. Hazel chose to use 2 design papers, glitter and a button. 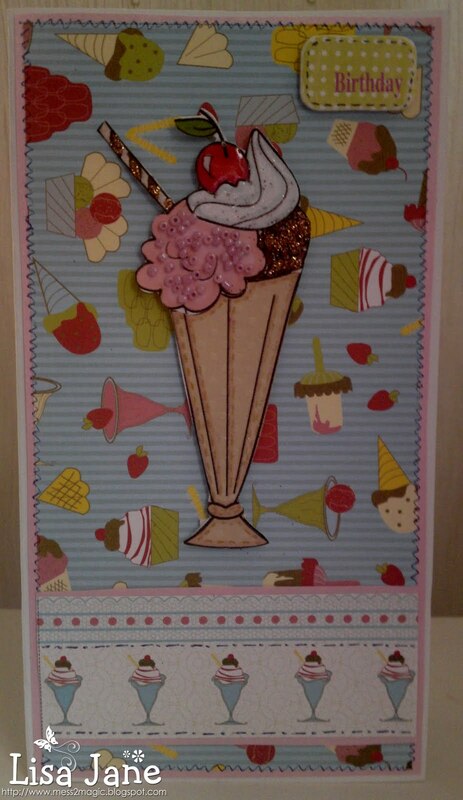 I used 2 design papers, glitter and buttons. Well I hope you have some fun with this challenge and remember you have until 8.00 pm next Wednesday night, the 29th September to complete it and enter. We are really looking forward to seeing what you come up with. Wow!!! I just want to say thank you, to you all for entering my Christmas challenge this week...I can't believe we had sooooooooooooo many entries. And our Top 3 in no particular order & this was no easy task! Congratulations to you all, don't forget to take your banner to put on your blogs..
cutie to play with! He is Called Snowmans Gift. 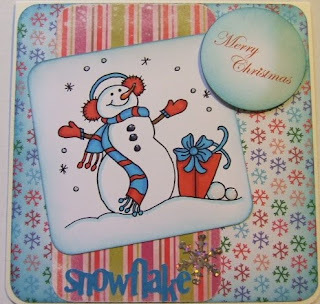 As you can see the DT were lucky enough to get images and some papers to play with (Thanks Suzette) , so please take the time to visit their blogs to see how their cards were made. So I hope the girls & I have got your creative juices flowing, I hope to be poppin by your blog this week..
Yo have until Wednesday 22nd September at 8pm to enter..Good Luck!! Hello and good evening everyone.. hope you have all had a great day ... especially my MAWTT team mate Heidi whose birthday it was today ... HAPPY BIRTHDAY from all of us! We didnt get many entries this week but the ones we got were fabulous and made it harder for us to choose a winner and top 3.
please email Hazel at hazze89510@aol.com so she can organize your prize. Once again thank you all for taking part in my challenge last week - and dont forget to grab your winners and top 3 badges from the side bar! Hello everyone ... don't the weeks come around quickly. Its time for another challenge here at Moving along with the times and this week its my turn ( LISA) to choose the theme . You are free to interpret BACK TO SCHOOL in any way you choose ie - literally using a school/student themed image or using a new technique you have recently learnt.... the choice is yours. 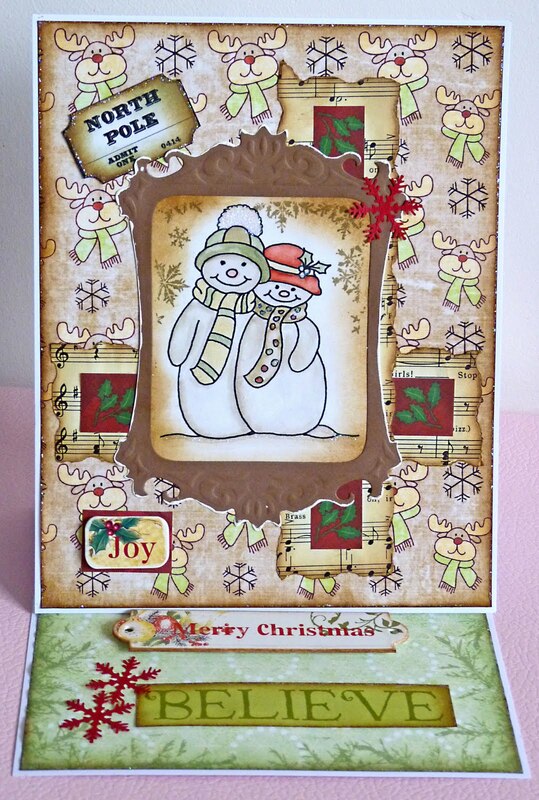 This week we are sponsored by Sharon Duncan Crafts, and the prize is a £20 voucher to spend in her store. Sharon Duncan has been designing Craft CDs since 2002. The Store was started in 2006 and has grown rapidly since then. She has over 80 CDs now available. 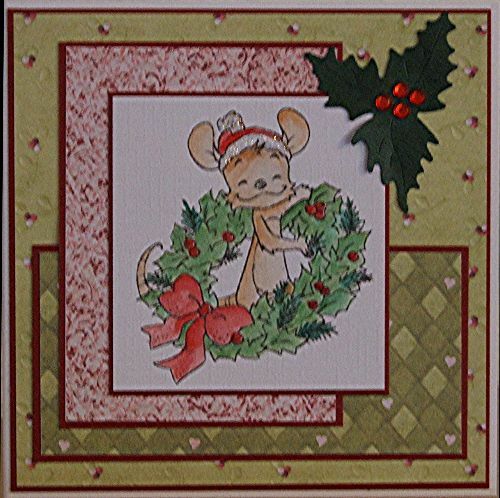 Sharon is frequently seen on Create and Craft and Ideal World. The store now has loads instore from inkpads, CDs to The Latest Gorjuss Girls Decoupage. 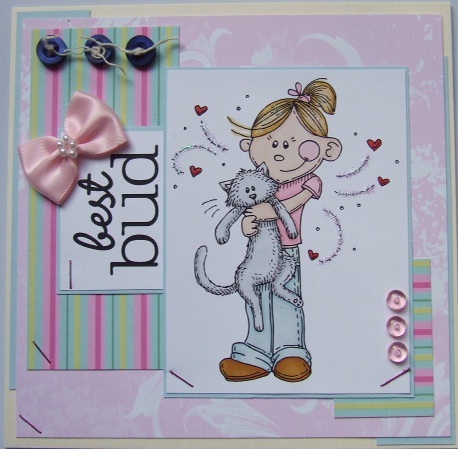 There is also a great range of Prima Flowers, Toppers even Craft essentials like glue and double sided sticky tapes. 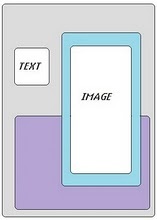 Pop over to see what is available. Post and Packaging is free in the U.K."
Thanks to Sharon for Sponsoring us this week. Don't forget you have until weds 15th Sept at 8pm to enter your projects. 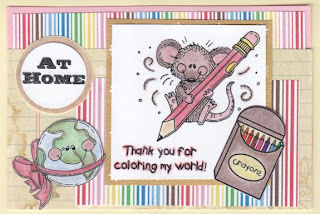 What an amazing week with all your challenge entries, we have thoroughly enjoyed blog hopping and coming to see all those lovely creations with stitching on them, you have been doing an amazing job. 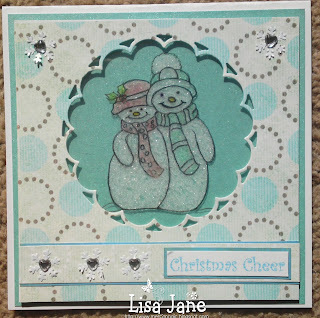 The winner is Tracy at Crafteezee with her Christmas card in very unusual colours. Well done Tracy, please email Hazel (hazze89510@aol.com) and she will arrange for you to receive your 10 digis from Digi Stamp Boutique. What a great prize you have there. Jovita at Everyday life in my mind. Fantastic job ladies, please take the badges to display on your blogs. Don't forget to pop back tomorrow morning when the lovely Lisa will be hosting the next challenge. Thanks again for taking part and we hope to see you all again soon. Have a great end to the week and a crafty weekend coming up. Hi everyone it's Brenda this week and Wow I can't believe it's my turn again to set and host the challenge, it's come around so quickly. But before we move onto this week's challenge, thankyou to everyone who took part last week. 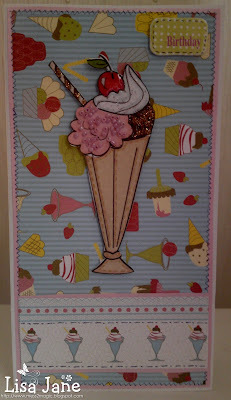 It was good to come and see your creations on your blogs and the entries were just fab. Just as we thought autumn was upon us the weather has take a turn for the better, long may it last. I used to sew alot when I was younger and made clothes for myself and my children as well as soft furnishings. 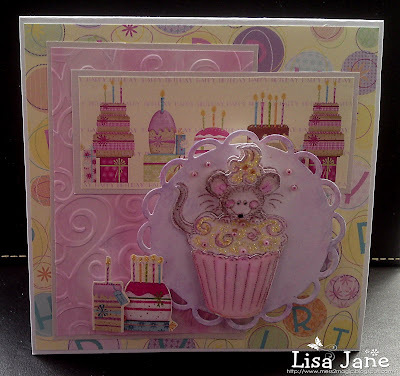 But it has sat doing nothing for quite a long time, ......... until I found a use for it on my cards. 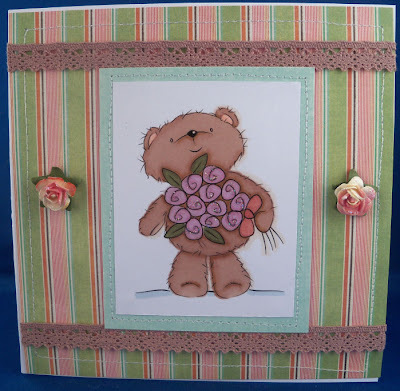 Now it sits in the spare bedroom and I often pop in there to create some texture on a card I am in the process of making, even my husband said it was good to see it getting some use. However I would like you to use any type of sewing, whether that be on the machine, by hand, rub-ons or using a pen. It doesn't matter so long as we can see some on your card or project. 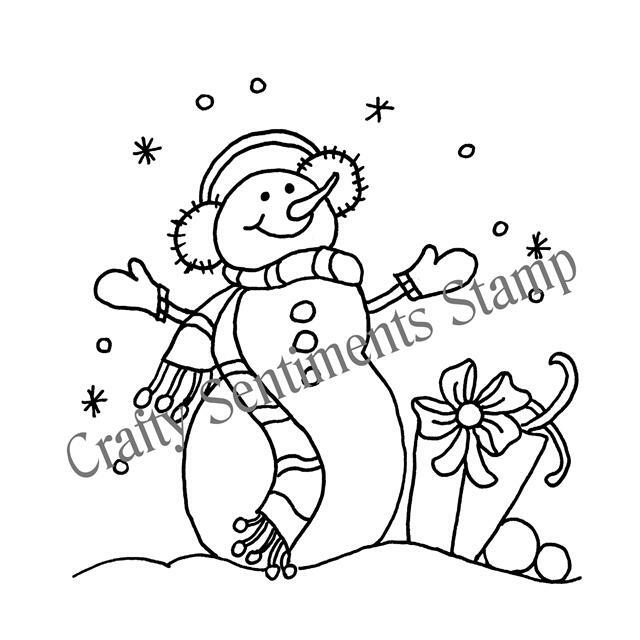 Our sponsor this week is Digi Stamp Boutique who offer a range of simple and trendy digital image stamps for all your card-making projects. 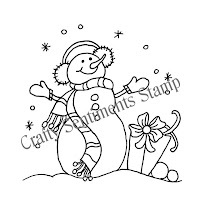 Simply download, print, colour and create! There is immediate access - once purchased, your downloads will be available straight away at checkout, or under the 'My downloads' heading within your account." now that's really worth playing for isn't it? The design team have come up with some wonderful examples for inspiration. 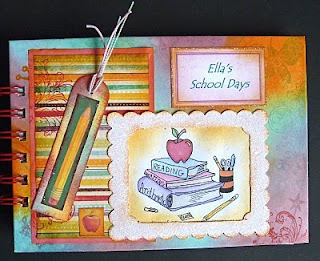 Take a look at these and pop over to their blogs to see what else they have been doing. 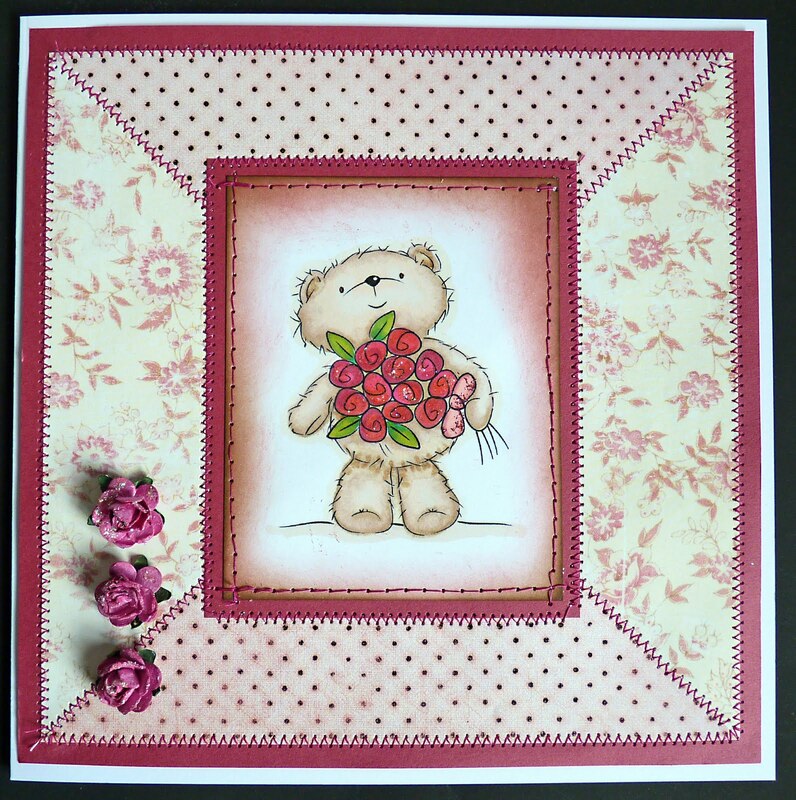 We are joined by our two week Guest Designer Kelli and this week by Clare C our Monthly Guest Designer. Thanks for your Cards.